Currently, real decentralization has not been achieved. Although, several forms of local governments have been established, they have not actually followed the concept of decentralization. Legally, they might get three kinds of power from the central government: political, administrative and financial. That means, by law, local government has the right to make public policy, regulations and public budgeting. However, in reality, they cannot practice these activities autonomously. They are still being closely monitored by the central government. Whenever they want to run their policies or projects, they always need to get approvals from the central government beforehand. As a result, the local governments have to turn the focal point from local benefits to central benefits. In order to get permissions, they have to care about desires of the central offices more than the desires of their communities. Under these circumstances, decentralization is merely symbolic and not as stipulated by the laws and theory. Because local governments’ practices cannot truly respond to people and community’s needs. Why has this situation occurred? 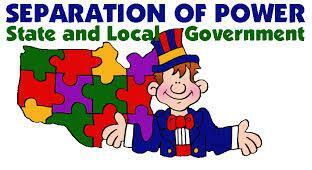 Why have all the three powers never been decentralized to local governments? Why does the central government still hold all the power? The answer is that ‘the power structure’ has never changed. The centralized politics and public administration system has not been changed before decentralization. Decentralization then cannot be effectively applied. Its main concept is to deliver politic and administrative power from the top to the bottom, or from the central administration to the local and community as much as possible. Therefore, powers are still retained within the central structure. Decentralization is just the new administrative approach in the old politics and bureaucratic system. It cannot function as desired, because the power structures cannot support it. Although decentralization will be able to reform the administrative structures such as creating new laws and local governments, the reforms cannot work within the unchanged power structure. They cannot work as per the conceptual objectives. Thus, the goals of political and administrative reforms cannot be accomplished by using this type of decentralization. Considerably, there is a crucial mistake in this approach. It aims to construct the other administrative office that is local government only. By law, this approach mainly wants to deliver power from the central to the local offices. Under the current power structure, administrative and budgetary powers are still in the hands of the central government. As the local government is one of bureaucracy under the power structure, it is very easy to intervene in the local activities by using regulations of the central government. Lastly, the local and community interests might not be fulfilled because the public works of local governments cannot be produced. They have to be run under the supervision of the central offices and the results may not be matched with the local needs. In order to improve its results of decentralization, changing the political and administrative power structure is the most important factor which needs to be done before mobilizing decentralization. From the situation presented above, this structure has to be changed by using the concept of ‘decreasing power of the central government and increasing power of local government.’ One of the most effective methods for supporting this concept is the changing of supervision approach of the central government. This method proposes that the old supervising approach, which is supervision by laws and regulations, must be terminated. The new monitoring approach, which is supervision by standards, must be used instead. This method would change the approach of central government authorities from giving ‘order and command’ to providing ‘suggestions and support’ to the local government. By using this method, power of central government would be decreased because it will not be able to directly control and monitor the local government anymore. It will only have the duty to give some advice and resources or capital to the local governments. It will not have the power to control, but will have advisory power only. While this method can decrease power of the central government, it can increase power of the local at the same time. By using standardization, the local governments would have autonomous power in doing public services and directly responding to the desires of the people and community. Since they do not need to be concerned about using laws and regulations of the central government to control their public services activities much, they will be able to create services as the people and community desire. They will be freer to act than what they were in the past. Consequently, the effectiveness and efficiency of their activities will increase. Finally, local governments will have more power to develop their public services. As a result, this method will increase the power of local government as well. There are some problems in decentralization movement. But the main one is the major obstacle is the political and administrative power structure. This factor must be resolved before mobilizing decentralization. If not, the expected results would not be able to be achieved. Author: Sataporn Roengtam, Ph.D. is an assistant professor in the Department of Public Administration, Faculty of Humanities and Social Sciences, Khon Kaen University, Thailand. His fields of interest are public policy studies, decentralization, civic education, citizenship and provincial and community self governance. He can be reached at [email protected] or [email protected].